Inspections are about visiting a location, collecting data, making evaluations, and returning your findings to a central repository for storage or further action. Why not go paperless with mobile inspection forms software on an iPad, Android or Windows tablet? Paper forms can be damaged, lost, or filled out with ambiguous or invalid data. 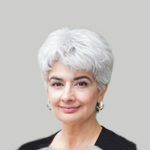 The data must usually be transcribed from paper, re-keyed into a computer, and checked for errors. Paper forms often need filing, archiving and warehousing even after the data is transcribed into electronic form. The need for physical transport and re-keyinig significantly slows business processes and introduces unnecessary errors and costs. Laptops and data collection software are an expensive IT investment to acquire, update and maintain. Power supply is an issue for a inspectors who are on the road all day. Size, weight and durability are issues for those who work on their feet. Connectivity is an issue for companies who want access to collected data in real time. True Mobility. 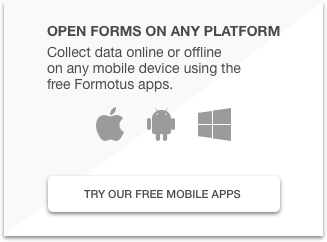 Formotus forms work on iPads, iPhones, and Android tablets smartphones, and soon Windows 8 and Windows RT tablets. These include devices that weigh almost nothing and last all day on a charge. Real Time Connectivity. Inspection forms can be submitted by email or right into your SharePoint or backend business systems from the field, in real time, over-the-air on any data network. Offline Productivity. What if your inspectors work where the data connection is unreliable, unavailable, or prohibited? Not to worry. Formotus mobile software is designed to work perfectly offline so inspectors can work all day or all week without a connection if they need to. Advanced Data Collection. Put modern technology to work for your inspectors. Snap a photo directly into a form. Collect a signature or mark up a diagram using the touch screen. Add a timestamp and GPS place stamp to the form. Enhanced Data Precision. Formotus forms are intelligent. 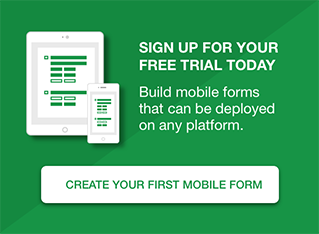 Your custom forms are able to offer the inspector different questions based on previous answers, to auto-fill fields, to validate data, and to perform calculations in the field.